Overview: These 233 articles and workshops are designed to be the ultimate web-based skills training library for every person or organization who wants to improve professionally and personally. These courses take the best business information from the brightest minds and re-purposes it for rapid Internet delivery to subscribers who want business solutions in a “Just-Enough, Just-In-Time” format. Overview: 60 courses included help you with ability to successfully manage a complex project from start to finish is a critical skill in any organization. Project management is useful in most industries and requires advanced skills to gain a supervisory role or a promotion. 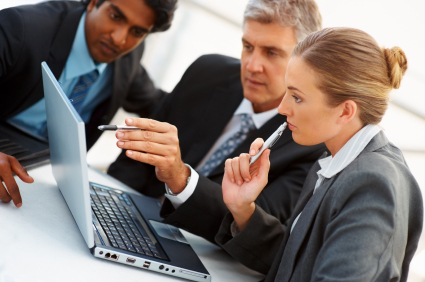 These courses provide a detailed examination of project management concepts and strategies. The course includes seven components of a management system and the five phases of the project life cycle, and looks at factors that affect cost, quality and timeliness. The Project Management Institute (PMI®) administers a globally accepted professional certification program; the Project Management Professional (PMP) certification and Certified Associate in Project Management (CAPM). NEF is a Registered Education Provider (R.E.P) of the Project Management Institute (PMI). The Project Management Professional (PMP) series from NEF University map to the PMP certification objectives and are designed to help a project manager prepare for the PMP exam. The other courses included in this package also meet the PMI education requirements for Professional Development Units (PDUs).